Great community and welcoming staff. The amenities are great for the price too! Also located near transit hubs and plenty of food nearby. The shuttle routes fpr the u of a run frequently as well so getting to class isnt a drag. I’ve had too many bad experiences and no help from the people at the office. I made sure to write a poor review on Yelp and have seen other poor reviews on Yelp in the past and it’s like nothing at NP has changed. So sad. Pretty good, has its flaws but I cant complain. Walls are paper thin but the rent ain't that bad, plus all the amenities make it so you cant complain that much about the small things that are wrong here. Its quite,the grass is always cut and fresh. The staff is responsive and it's always clean around the apartments. Sometimes the pool parties can be better but I do enjoy the small food events they have. Overall it is a good place to live. There are plenty of places to go to without needing a car. Noise levels are really good, relatively quiet. The people and community here is great. Great for first time renters. Pet friendly too, so u dont have to leave your best friends at home with your parents. They can come live with u. The apartment complex is generally quiet and clean. The rooms are spacious. The walls are a little thin, though. Maintenance comes quickly. The amenities are great. The location is convenient. The shuttles come on time and are nice shuttle buses. Northpointe has been so much fun to live at. The staff here is amazing and very helpful. The community is very well taken care of. It’s a great place for college student with tons of community events. The North pointe apartments are absolutely beautiful. The apartments are very spacious and nice. The landscape is very big and clean. They have a lot of community community activities to offer. Great place to be if you want to be within reasonable distance from different places. There are plenty of stores and restaurants near by that are great. Parking is good and it's great that pets are allowed. Maintenance takes a while to fix an issue at the beginning of move in due to the over flow of work orders, but after they are reasonable with the amount of time it takes them to go and fix the problem. Nice place to live at. The shuttle service is convenient to get to campus. Staff is always nice and are willing to help. Love the amenities they offer as well. Overall it’s not that bad but it takes a while for maintenance requests to get completed, and some from move in still have not been fixed yet. 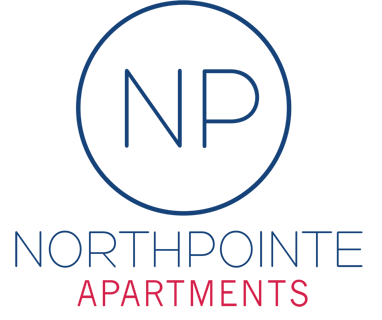 Overall I am happy I chose NorthPointe because nothing to crazy happens on the north side, and everything that the apartment came with was also a bonus and everyone given their own bathrooms was a huge bonus! Great people, good staff and good neighbors. Could do better at maintenance but overall good experience and lovely staff to go along with this place. Overall great experience. Friendly staff. Few minor problems with apartment and move in issues. Enjoyed the organization with getting texts for packages. A nice living experience, you really feel welcomed when living here. The office staff is always coming up with ways to make your time here more memorable and interactive. Love the community and really have felt at home here at Northpointe. Also the pool and basketball courts are such good additions to the landscape of this cool place to live. Northpointe has been very good to me. I enjoy how active the community is and how convient everything is. Definitely considering renewing my lease. North Pointe Apartment is better than I have thought. The view here is awesome and I get to enjoy it everyday. Facilities are good, but there is only one functional treadmill at the gym. Sometimes I have to wait a long time. Got a nice size apartment at an amazing deal, able to live comfortably with my two awesome roommates! the employees here at the front office are super nice.